Evergreen had been allegedly adding synthetic chemicals to increase the levels of the anti-bacterial agents, allowing the company to sell the honey at a higher price. Sydney Morning Herald. Fri, 19 Apr 2019 16:18:48 +1000. Washington Times. Fri, 19 Apr 2019 00:39:34 -0400. Mark and Rachael, originally from New Zealand, feature on today's episode of Location, location, location as they try to escape expensive London rental prices. Daily Mail. Thu, 18 Apr 2019 16:44:37 +0100. ABC News. Thu, 18 Apr 2019 10:38:13 -0400. Zacks Equity Research. Zacks. Thu, 18 Apr 2019 14:33:22 GMT. BBC News. Wed, 17 Apr 2019 12:00:25 GMT. New Zealand Herald. Wed, 17 Apr 2019 15:19:46 +1200. ZDNet. Wed, 17 Apr 2019 02:15:07 +0000. BBC News. Tue, 16 Apr 2019 10:46:30 GMT. Francesca Paris. NPR. Tue, 16 Apr 2019 05:38:00 -0400. Al Jazeera. Mon, 15 Apr 2019 15:39:37 GMT. Zamira Rahim. The Independent. Mon, 15 Apr 2019 14:39:00 GMT. Tass. Mon, 15 Apr 2019 07:58:32 +0300. Rukmini Callimachi and Adam Goldman. New York Times. Sun, 14 Apr 2019 23:39:39 GMT. WikiLeaks founder Julian Assange's arrest is troublesome for journalists and Americans, according to Rep. Tulsi Gabbard, D-Hawaii. Newsmax. Thu, 11 Apr 2019 20:21:41 EDT. The Pacific Islands of Oceania are grouped into three regions: Melanesia, Micronesia, and Polynesia. The island nations of Melanesia include Fiji, Papua New Guinea, the Solomon Islands, and Vanuatu. The nations of Micronesia include the Federated States of Micronesia as well as Kiribati, the Marshall Islands, Nauru, and Palau. The Polynesian nations include New Zealand plus Samoa, Tonga, and Tuvalu. More news and information about selected Pacific Island nations is available at the official government websites listed below. The Republic of Fiji's capital city is Suva, and its national currency is the Fiji Dollar. English is the primary language used in Fiji, and in 2007, the population of Fiji was estimated at 919,000. The Republic of Kiribati's capital city is Tawara, and its currency is the Australian Dollar. English and Kiribati are the primary languages used in the Republic, and in 2007, the Republic's population was estimated at 108,000. The Republic of the Marshall Islands' capital city is Majuro, and its currency is the US Dollar. English and Marshellese are the primary languages used on the islands, and in 2007, the islands' population was estimated at 62,000. The Federated States of Micronesia's capital city is Palikir, and its currency is the US Dollar. English is the primary language used in Micronesia, and in 2007, the islands' estimated population was 108,000. The Republic of Nauru's capital city is Yaren District, and its currency is the Australian Dollar. Nauruan and English are the primary languages used in Nauru, and in 2007, Nauru's estimated population was 14,000. New Zealand's capital city is Wellington, and its national currency is the New Zealand Dollar. 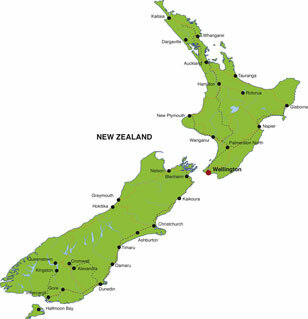 English and Maori are widely used languages in New Zealand, and in 2007, the nation's estimated population was 4,116,000. The Republic of Palau's capital city is Koror, and its currency is the US Dollar. Palauan and English are the primary languages of Palau, and in 2007, Palau's estimated population was 21,000. Papua New Guinea's capital city is Port Moresby, and its national currency is the Kina. English, Tok Pisin, and Hiri Motu are the primary languages of PNG, and in 2007, the country's estimated population was 5,796,000. The Independent State of Samoa's capital city is Apia, and its national currency is the Tala. Samoan and English are the primary languages used in Samoa, and in 2007, Samoa's estimated population was 214,000. 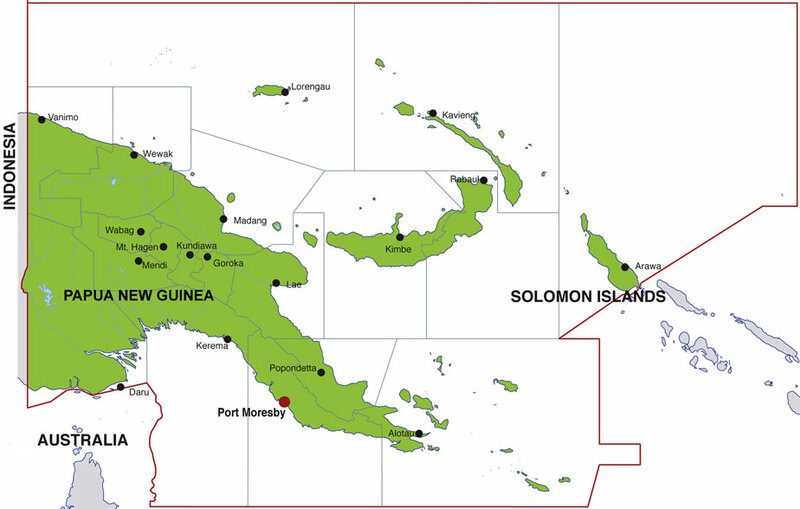 The Solomon Islands' capital city is Honiara, and its national currency is the Solomon Islands Dollar. English is the primary language of the Solomon Islands, and in 2007, the islands' estimated population was 567,000. The Kingdom of Tonga's capital city is Nuku'alofa, and its national currency is the Tongan Dollar. English and Tongan are the primary languages of Tonga, and in 2007, Tonga's estimated population was 117,000. Tuvalu's capital city is Fongafale, and its currency is the Australian Dollar. Tuvuluan and English are the primary languages used on Tuvalu, and in 2007, the nation's estimated population was 12,000. The Republic of Vanuatu's capital city is Port-Vila, and its national currency is the Vatu. Bislama, English, and French are the primary languages spoken on Vanuatu, and in 2007, the Republic's estimated population was 212,000.